Haynes goes wire to wire in victory. FLORENCE, Ala. – After boating an incredible 33 pounds, 1 ounce on the first day of EverStart Series competition on Pickwick Lake, it appeared as though Randy Haynes of Counce, Tenn., was going to run away with the title. However, by the end of day two, Haynes was forced to watch his 5 ½-pound lead melt all the way down to a mere 13 ounces. Now, with one day of fishing left in the tournament, everyone knew it was game on. “Coming into today I was really worried,” said Haynes. 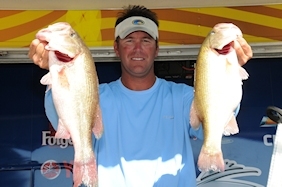 “I knew that there were some great ledge fisherman in this tournament, (especially) Mark Rose. And I also knew that I (potentially) could be beat on Wilson Lake (by the Suratt brothers). So when I woke up today I knew I had to get out there and just go fishing. In the end though, Haynes proved once again why his is one of the most revered anglers on Pickwick Lake. Bolstered by a whopping 26-poound, 14-ounce catch in the finals, the largest day-three stringer brought to the scales, Haynes maintained his overall lead for the third consecutive day, winning the title in unexpectedly comfortable fashion. Haynes said he relied heavily all week on a combination of Strike King 6XD and 10XD crankbaits, targeting river ledges and humps in anywhere from 15 to 20 feet of water. Throughout the week, Haynes put on a veritable offshore fishing clinic. 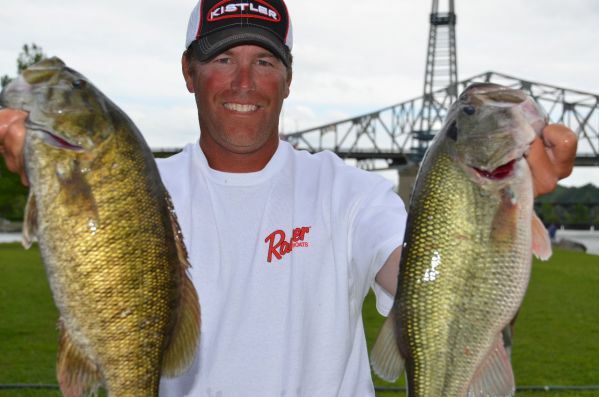 After the first day of competition, where he bested his own personal one-day tournament record on Pickwick Lake, Haynes continued to plug along, forcing the rest of the field to play catch up – a hurdle which some of the best Pickwick anglers in the business weren’t able to overcome. FLORENCE, Ala. – With steady winds clocking in at 18 to 25 mph and a raging current screaming down the entirely of the Tennessee River system, EverStart Series Central Division anglers definitely had their work cut out for them during the second day of competition on Pickwick Lake. With plenty of game plans in complete shambles and numerous prime fishing locations completely inaccessible, the field did its best to weather the conditions and mount whatever charge it could muster in a bid to qualify for Friday’s top-10 cut. However, it wasn’t easy. Just ask day-one pro leader Randy Haynes of Counce, Tenn., who did everything possible to maintain his overall lead during today’s brutal round of competition. Haynes ultimately came back to the scales today with a 19-pound, 12-ounce stringer, a far cry from his whopping 33-1 bag he recorded on the first day of competition. However, the good news was that despite the hiccup, Haynes is still the proud owner of the pole position heading into Saturday’s all-important finals. But still, like the majority of the field, today’s conditions definitely took their toll on Haynes. Haynes said that he was attempting to fish ledges in the main river but around 11 a.m., the wind picked up with such force that he used up all of the batteries in his trolling motor – the main weapon for maintaining crucial positioning on his spots. It didn’t help matters that his bite was subpar as well. 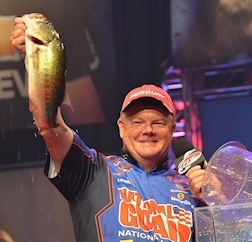 Despite the obstacles, Haynes said he stuck to his guns and continued employing a series of Strike King 6XD and 10XD crankbaits. And in the end, his local knowledge and years of fishing experience on Pickwick Lake paid dividends. Although the forecast is calling for steady rains all day in the finals, Haynes is still hopeful that he can pull off a wire-to-wire victory even though his lead is a lot more precarious than he’d previously envisioned it would be at this point. How many depth finders do you really need? If you’ve never asked someone that question, you’ve probably never seen the boats of National Guard pro Mark Rose or his friend and three-time EverStart Series winner Randy Haynes of Counce, Tenn. Each rigs his boat with four 10-inch Lowrance HDS units. Heck, Rose even adds a fifth unit, a 5-incher, at the bow. By now, you probably really are wondering how many depth finders they need. Before you get an answer, however, consider this: During the past six years, Rose and Haynes have combined to win more than $1 million, clinch 10 tournament titles and log 32 top 10s in FLW competitions. 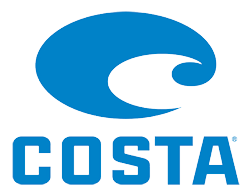 They credit their success to their ability to catch fish offshore. And electronics are a key tool for them to find and catch fish in all that water. Learn Rose did, and he’s willing to pass along some of what he’s learned. For starters, check out how he and Haynes rig their Rangers with electronics. The dash head units are connected to a transducer on the transom. This is also where the StructureScan transducer, which includes SideScan and DownScan, is mounted. Haynes’ GPS units all run off one receiver, which is mounted near the transom. Keep in mind that the trolling motor, with its transducer, is about 20 feet from the receiver, so occasionally it’s necessary to make adjustments when pulling up to a waypoint while standing on the front deck. Rose uses two receivers – one at the stern and one installed on the bow by the trolling motor. He feels this setup allows for more accurate waypoint generation and fishing. Both pros suggest “thinking big” when buying batteries. Get the largest reserve capacity available. And don't scrimp on the number of batteries, either. Haynes has four in the boat – three for the trolling motor and one for the depth finders and livewell, and for starting the big motor. When fishing at the bow, one way to conserve battery power is to set the dash units to standby mode. Each pro has two HDS-10 units at the dash – one installed into the dash and the second installed off to the right on a mount. These are the primary search tools. One unit is split with the left- and right-side StructureScan views on one half and the DownScan view on the other half. The second unit is split between the GPS map and traditional 2-D sonar. stowed in a compartment, usually near the console. Before rushing out and dropping thousands of dollars on electronics equipment,stop and consider the most important tool that pros Mark Rose and Randy Haynes have working for them: experience. Rose echoes his sentiments and recalls the time he spent learning to use modern fish-finding technology. It used to be that the main function of depth finders was to find structure, not fish. But Rose and Haynes are way past that. They have multiple units at the bow to see what’s under them, to spot many of the fish they catch, and even to use multiple maps. Haynes usually has a DownScan and StructureScan set up on at least one unit at all times. Rose typically has a full-screen map and a full-screen sonar on his HDS-10s and a second map on his HDS-5. He turns on StructureScan only when he thinks he needs it. Haynes suggests mounting one bow unit in front of the trolling motor pedal and the other off to the side, so that it’s tucked behind the trolling motor when the trolling motor is stowed. If he “stuffs” a wave while running, the motor protects the unit and helps keep it from being ripped free. If you still think it’s crazy to have two 10-inch units at the dash or at the console, consider what pros have on the line in tournaments. They’re fishing for major money and career success. Having two units in each place gives them a couple of major advantages. Built-in backup – If one unit goes out, the backup unit is already installed and working. Multiple views – This is a big one. The more ways an angler can “see” the bottom and the fish, the better understanding he’ll have of what’s in the area. many anglers. Does it help, or doesn’t it? Rose and Haynes have a HydroWave unit on their boats. 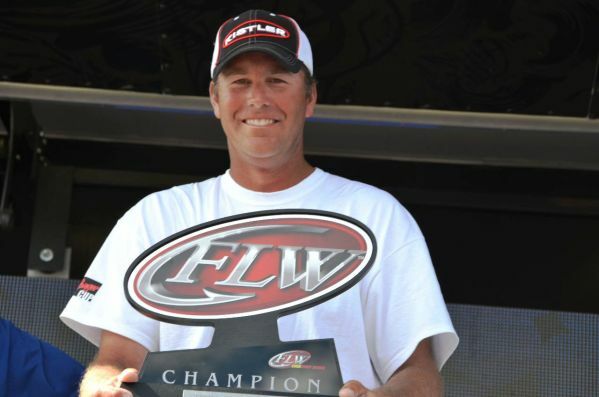 Rose says he was skeptical of HydroWave at first, but after installing a unit, he rattled off five top-10 finishes, including a victory at Pickwick. Both pros suggest experimenting with the unit. Sometimes it seems to make a difference, at other times factors such as boat positioning or crankbait selection take precedence. There is no “blueprint” for how to use it. Both pros use MotorGuide trolling motors outfitted with built-in sonar transducers with an additional transducer attached to the trolling motor head so that they each have a backup. Haynes uses the built-in transducer first; Rose uses the add-on transducer first. Pro Randy Haynes’ DownScan and StructureScan information, both at the bow and the dash, channels through the StructureScan transducer mounted at the transom. Yet his 2-D sonar transducer for the bow unit is in the trolling motor. That means he’s getting information from transducers spaced 20 feet apart. It might seem like that’s a bad thing, but Haynes says that’s not necessarily the case.